Space Is Limited, Please Email If You're Interested in Signing Up! Functional movement training increases strength, exercise intensity, and confidence among clients. However, one-on-one personal training is cost-prohibitive for many people. Our web-complimented personal training combines the efficacy of personal training with the flexibility and affordability of home workouts. 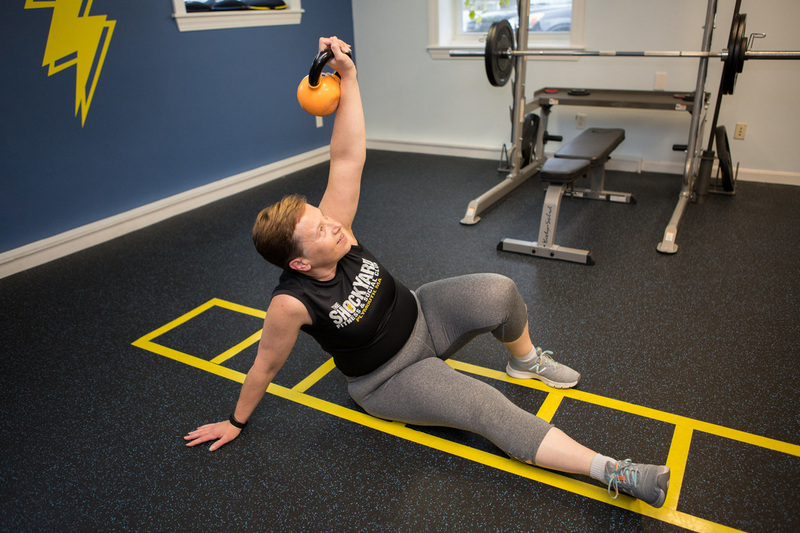 Our fitness philosophy focuses on designing creative exercises that challenge clients to use their whole bodies, making each exercise more efficient and more functional. We consider your fitness goals, as well as your likes and dislikes, in creating a new personalized training plan for you each month. A trainer then supervises your progress over the month to offer support, encouragement, and accountability. Equipment required: These workouts will be tailored to the equipment that you have available. Ithaca area, in-person clients will have one in-person, 30 minute session per month and one 30 minute video call. Ongoing Sessions Not What You're Looking for? Check Out Our One-Time, Habit-Building Consulting Session Option!